Want to change the length?? Snip! Snip! 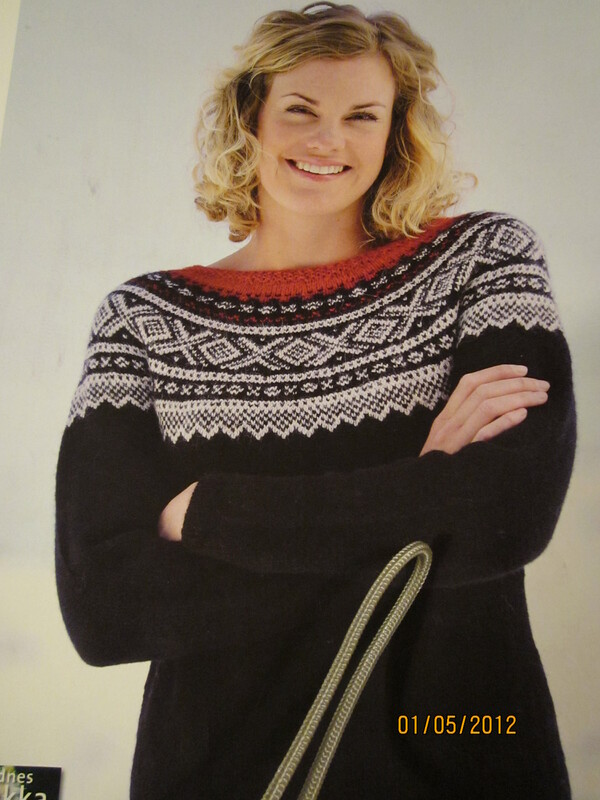 One of Grethe’s latest knitting endeavours was this Norwegian sweater for her adult daughter. While it was in process her daughter got to try it on for size…the pieces that is. She thought the sleeves should be longer…so longer they were knit. 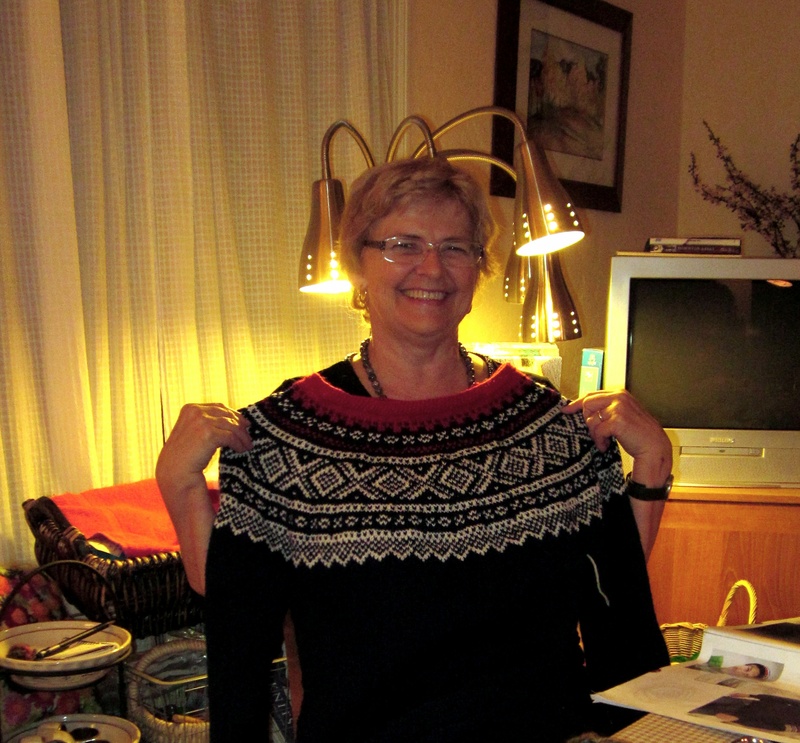 The sweater was assembled, tried on, and the sleeves were too long. Grethe asked me for advise on what to do. As advised she picked up each stitch (one side of the knitted stitch) on the row close to where she wanted to shorten the sleeve. Keep in mind that this point is determined by whether this will be the “finish” line or whether a cuff will need to be added. Proceeding….she picked up the stitches on her circular needle….she, without hesitation – usually I do this for folks because they are too nervous – cut the extra length off. She then picked out the extra threads that might be lingering….made sure all the stitches on the needle belonged to the same row and she knit the cuff. Note there will a visible line where the knitted fabric is knit back in the the opposite direction; however, that can be made almost invisible when creating a design on the line, i.e. 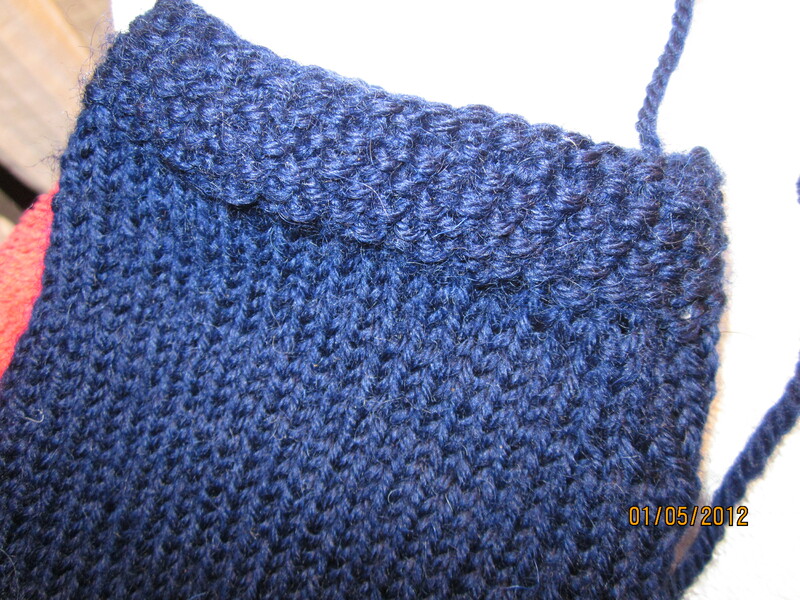 starting the cuff in a different stitch design. You might ask why she just didn’t unravel back to the desired point. Here’s the knitting rule….you can unravel back the way you knit, i.e. taking rows out; but you cannot unravel from the cast on edge….thus Snip, Snip! It’s a great trick that I learned in an early issue of Knitter’s Magazine…more than 20 years ago.